No matter how you like your cardio at the gym, we’ve got the answer. Stick to your favorite machine or branch out and try a new one with all of our cardio workouts, all in one place. 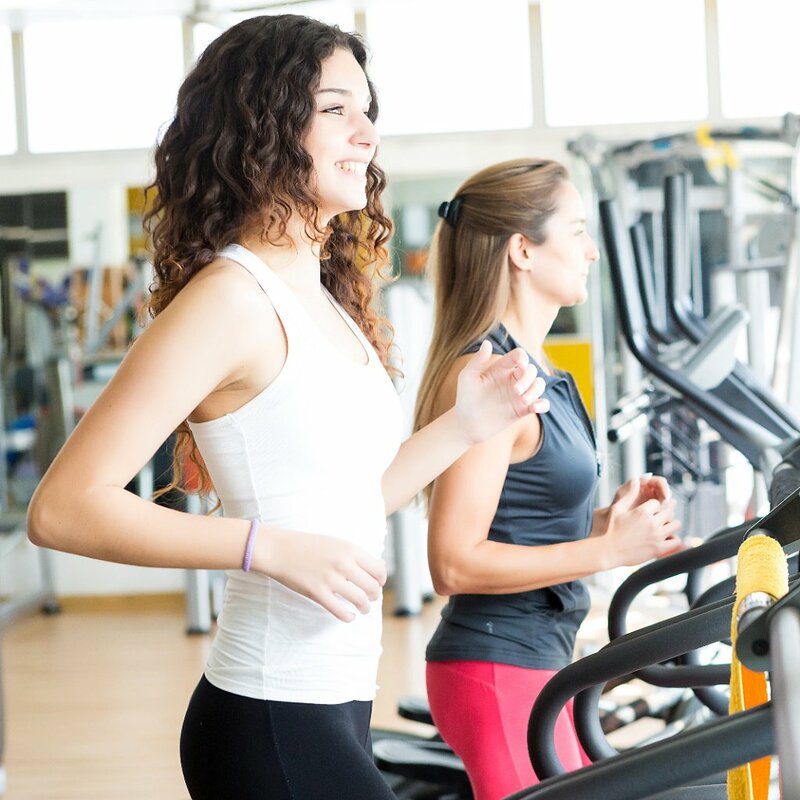 Changing up your cardio workout is a great way to burn more calories and keep from plateauing. If your treadmill, elliptical, or stationary-bike game could use a shake-up, take your pick below. 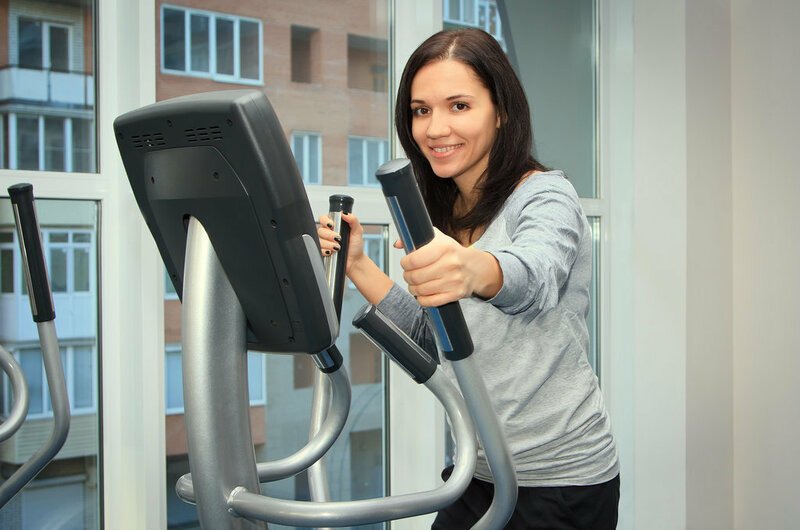 When you don’t have a lot of time, try this short interval elliptical workout. It’s only 22 minutes long (including warmup and cooldown) and features really short and effective intervals. To get in and get out, go for this 20-minute interval workout. The intense intervals ensure you’re still giving your body a solid workout. This 30-minute elliptical workout targets your entire body while also getting your heart rate up. A quick workout you can fit in during your lunch break is one you have no excuse to miss. This 30-minute lunchtime workout ensures that you have enough time to freshen up in the locker room. Channel all your strength and let it out with this killer elliptical workout with a girl-power playlist. One way to push the interval envelope is to decrease the amount of rest time between your bouts of sprinting. By shortening your recovery time, you’re pushing your anaerobic threshold and strengthening your cardiovascular system. Sound good? Then try this elliptical interval shrinking recovery workout. Do this elliptical interval workout when you only have 35 minutes to spare. It’s the best way to get the most out of a short amount of time. If you’re new to the elliptical machine — or working out in general — try this beginning elliptical workout. It uses all the different features of the machine, which gives you an idea of what it can do. Target glutes and hamstrings by playing with the incline on the elliptical. This elliptical booty workout will help you tone your backside while also giving you a good cardio workout. To work your core while on the elliptical, just let go. Not using the handles in this elliptical core workout helps engage all the muscles of your core as you work harder to stay balanced on the machine. For times when you can’t find an empty treadmill at the gym, try this elliptical treadmill workout. The workout comes close to mimicking what running on a treadmill feels like and may even help even out your stride. This beginner-friendly, hour-long elliptical workout varies speed and incline for an effective session at the gym. Set your workout to a soundtrack with this one-hour elliptical workout with playlist. You switch speeds with each song, so you’ll never be bored for the 60 minutes. If that playlist isn’t your style, here’s another hour-long workout set to music. Mix up your stationary-bike routine with a fun 35-minute bike workout that mixes up speed without piling on the resistance. Need some more cardio in your life? This 45-minute heart-pumping workout is great when there’s a line for the elliptical or treadmill machines. Never been on a rowing machine before? Try this beginner-friendly rowing workout to burn calories while you practice your newfound skill. 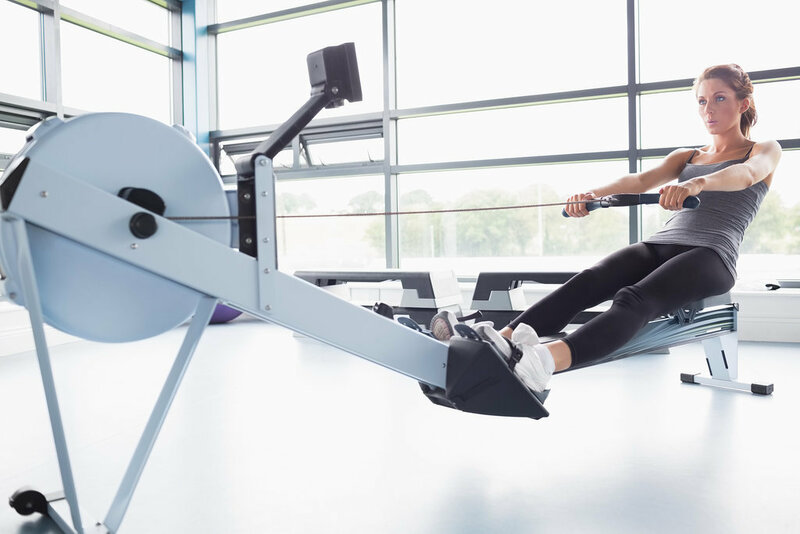 For a total-body workout that’s fun, try this 30-minute rowing-machine interval workout. 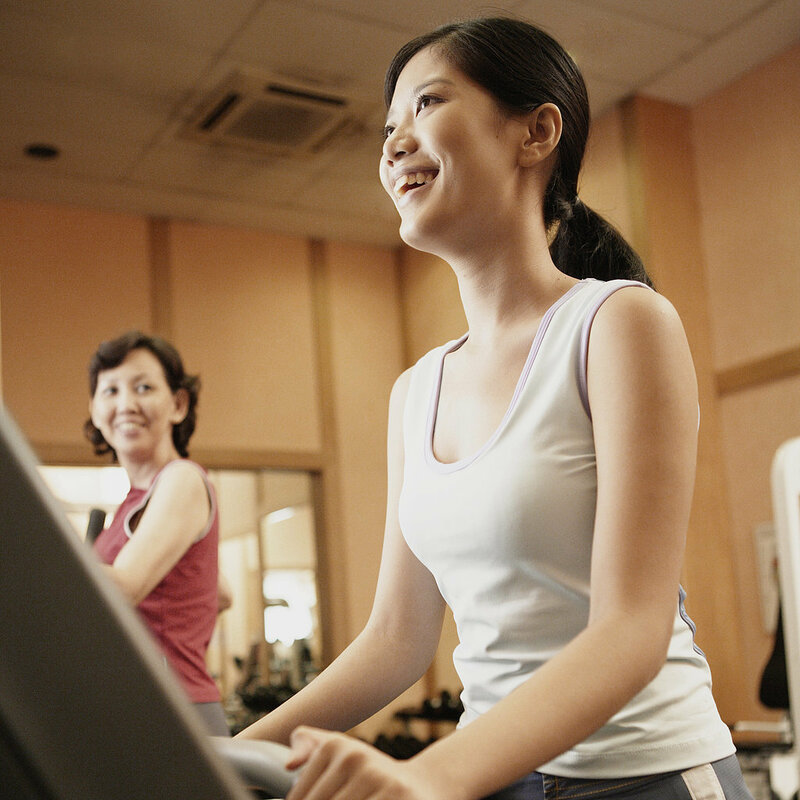 If the idea of the treadmill bores you, get a fun workout on the other cardio machines at your gym. This stationary bike and elliptical workout will leave you sweaty without the run. This three-machine cardio mashup workout will get you ready for bikini season. It uses the rowing machine, elliptical, and treadmill for a killer cardio session that works your entire body. Feeling bored? Alternate between the elliptical and the treadmill for this two-machine, 45-minute workout that’ll have the time flying by.